Netflix customers living in or traveling to Mexico pay the same amount for their monthly streaming subscription, but have access to fewer TV shows and movies than US Netflix customers. The smaller catalog is the result of content licensing restrictions agreed upon between Netflix and copyright holders. Even though Netflix rolled out its service globally earlier this year, these restrictions mean the full catalog of shows couldn’t come with it. While Netflix is actively working to make its offering more universal, it will take some time before subscribers in Mexico get a service equal to their neighbor to the north. 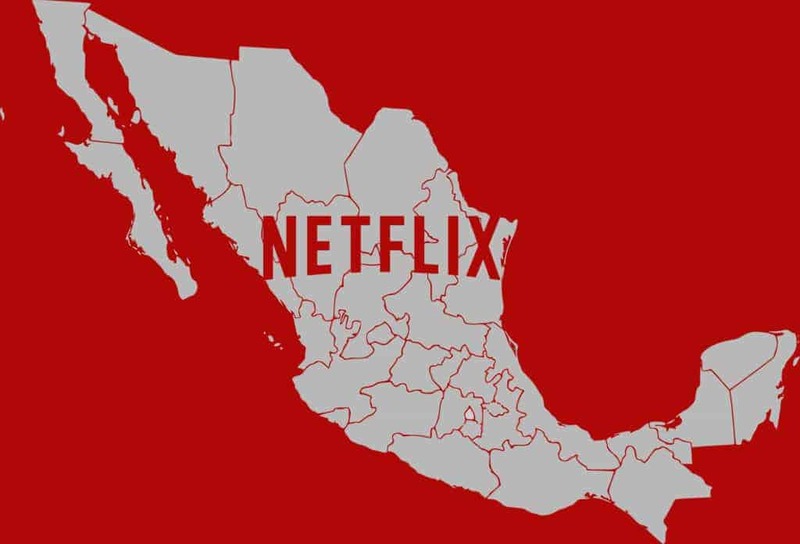 In the meantime, Netflix users in Mexico can bypass the geographic restrictions with a simple fix. A VPN, or virtual private network, and a smart DNS proxy can both make it look to Netflix as though the user is located in the United States. Several VPN providers allow users to route their internet traffic through a server in a location of their choosing–in this case, the United States–before it goes to Netflix’s servers. This workaround allows a Netflix subscriber to “spoof” their location and access the full US listing of TV shows and movies. However, shortly after the global rollout a few months ago, Netflix started cracking down on VPN users abroad. Most users connected to a VPN will receive an error message telling them to turn their proxy off. For this reason, only a handful of providers have been able to evade Netflix’s firewall on a select few servers. Our top recommendation is NordVPN. An excellent and powerful VPN in its own right, NordVPN boasts a huge range of servers all over the world, including dozens in the US alone. Plans start at US$2.75 per month. After signing up, just install the app and log in. BEST BUDGET VPN:NordVPN is our top choice. Great performer for streaming and torrenting. Strong privacy and security features and allows up to 6 devices to be used simultaneously from one account. Includes a 30-day money back guarantee. The app caters to users of Netflix and other streaming video services. Just hover the cursor over a server on the list to see what channels it can access, then double click to connect. Once connected, log into Netflix again and you should see the full catalog. This method works best in a web browser like Chrome or Firefox, but if you prefer to watch Netflix on a game console, set-top box, or mobile device, the app may not be enough to get you past the proxy error. Unlike the browser version, the official Netflix apps can force the user back onto their local ISP’s DNS servers instead of the VPN’s, revealing the use of a proxy. In this case, it’s better to set up the VPN on a wifi router. NordVPN users can find setup tutorials for DD-WRT, Tomato, and Asus router firmware on the provider’s website. NordVPN even sells its own customized routers with each of the three major firmwares. Another method to watch American Netflix abroad is by using a smart DNS proxy. This method will only work in a web browser and not on media consoles or mobile apps and is proving a less reliable solution than using VPN so is no longer recommended. DNS proxies are often faster than VPNs because they don’t encrypt traffic. This allows for better speeds but less privacy. This method works sporadically with some smart DNS services we’ve tested such as Overplay, however we don’t know of any services which work consistently enough to recommend. Sticking to more proven VPN solutions which are specifically set-up for Netflix is a safer bet. DNS, or domain name system, is like a phone book for the internet. It’s the reason you can type “www.comparitech.com” into your browser instead of a string of numbers and decimals. A DNS server resolves web page requests into IP addresses. By altering the DNS server in your computer’s settings to one in the US, it’s possible to trick Netflix into believing you are located within US borders. A typical smart DNS provider will supply users with a DNS code–usually a primary and alternative IP address for the alternate DNS server. These must be manually entered into the computer’s internet settings. The provider may require the subscriber to verify his or her IP address to ensure they are a real customer. The computer might need to be restarted in order for the changes to take effect. Netflix has recently begun cracking down on DNS users just as much as VPN users, so a DNS code that works today might not work tomorrow. For this reason, it’s important to use a reputable paid provider with decent customer service rather than a cheap or free option. Supposedly “free” smart DNS providers often engage in shifty practices, including directing users to malware-infected sites and injecting advertisements into web browsers. Users are left with little or no assistance when Netflix blocks the IP address of the DNS server. Likewise, avoid free VPN services, which often cap data and bandwidth and will likely be blocked. Some free VPNs will inject third-party advertisements into your browser. Check out our full reviews of NordVPN and Overplay. We’ve also got a full list of VPN and DNS providers that currently work with Netflix. I am retired in Mexico. Based on this article, I would not expect any method you described to work. I wouldn’t hazard trying, because it looks very much like I would lose money for nothing. So I guess my best option is to wait a few years until Netflix treats Mexico like the neighbor it is. I’ve lived in Colombia and Argentina for the past 12 months. I’ve tested all these methods and can vouch for them. Shouldn’t be any different in Mexico.